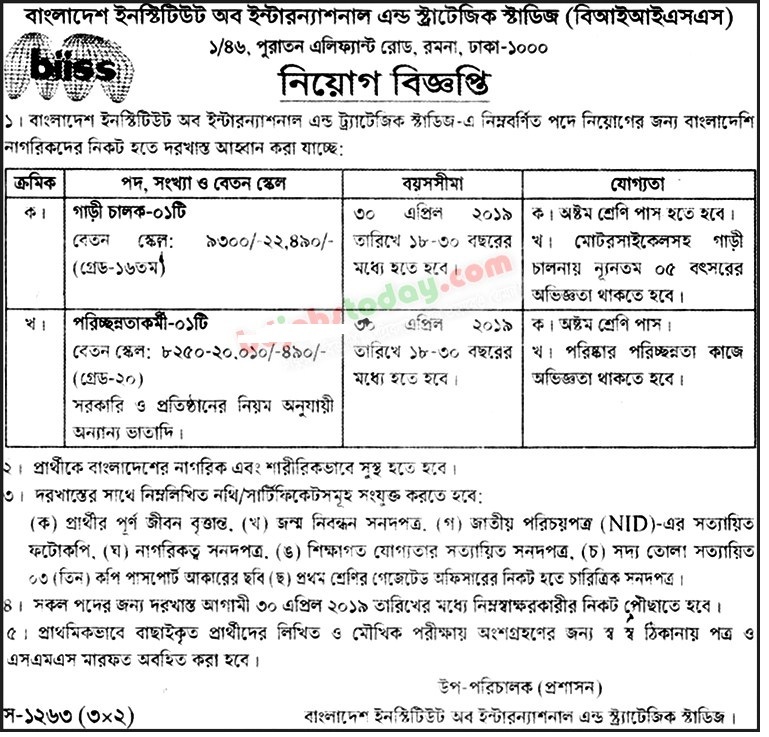 Bangladesh Institute of International and Strategic Studies Job Circular 2019 has been published by their authority in daily online job portal and to get from the best jobs and the education portal website in BD Jobs Careers- www.bdjobscareers.com. For the user understanding, we would like to inform you that, Bangladesh Institute of International and Strategic Studies (BIISS) is a statutory institution established on 25 June, 1978 by the Government of the People’s Republic of Bangladesh. The Institute was established with aim of the undertaking and promoting research and deliberation on international affairs, security and developmental issues. The Institute is also expected to advance knowledge and understanding of contemporary international and strategic issues in national and regional perspectives.